Whether it's the bustle of daily life, stress at work, a jam-packed timetable, or one of the hundreds of other stressful things in your life, you owe it yourself to take some time to renew and refresh. 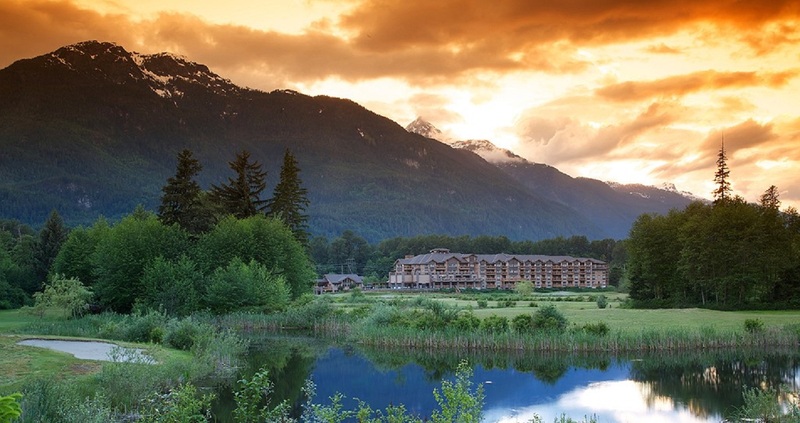 Squamish is the perfect destination to unwind. Take a deep breath and exhale, unwind and relax. That's your only responsibility when you visit Squamish Integrated Health. The registered massage therapist will work their magic, and if you're like most of us, it's long overdue. Massages are available in 30 to 90-minute increments. You owe this to yourself. Sometimes hiking isn't about fitness or reaching some distant peak. Sometimes, it's about disconnecting from the daily grind and being one with the moment. Choose a mellow stroll and allow yourself to connect with nature. Squamish is full of idyllic nature walks; we recommend Murrin Provincial Park, Alice Lake Provincial Park or a hike beside the Mamquam River. Warm up outdoors next to a roaring fire in the winter air. Bring some marshmallows and cozy up next to family and friends enjoying the season as it is meant to be. 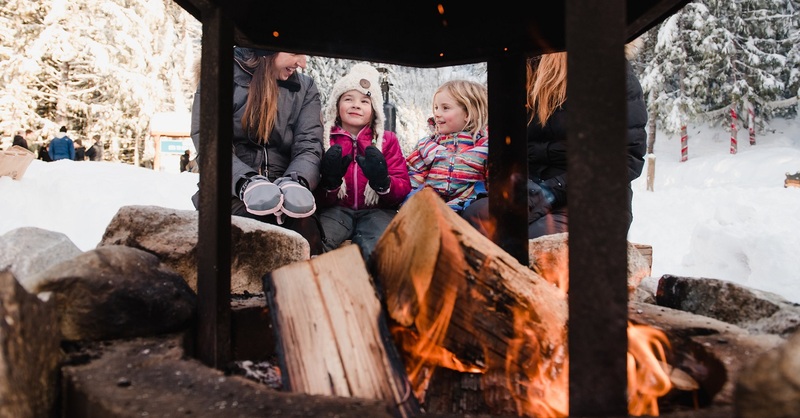 Lit firepits can be found at the Sea to Sky Gondola on weekends and at Whistler Olympic Park on Wednesday evenings. For those wishing to stoke their own fire why not visit one of Squamish's local campgrounds and while away a winter evening fireside. Take a day to have zero sense of urgency. Grab your waders and spend an entire afternoon waiting for a good catch. After just one hour of riverside solitude, we're sure you'll be hooked. Head out solo or book a guided fishing experience with Valley Fishing Guides or Trout Country Fishing Guides. 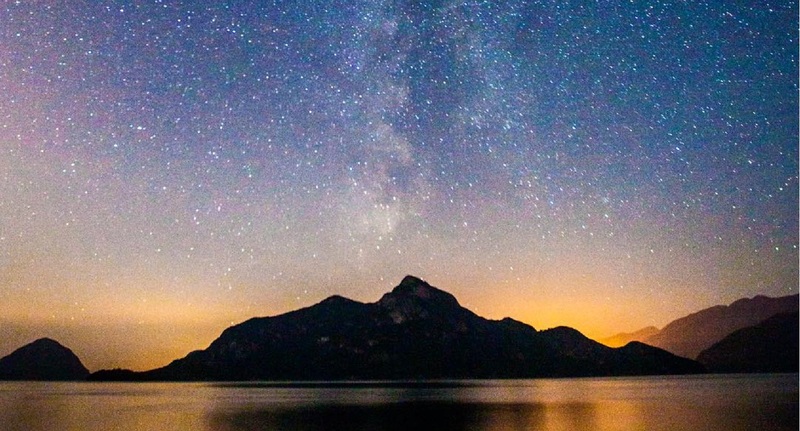 Clear your mind, power down your electronics and look up at the starry skies above Squamish. On a clear night, the constellations are clear as day and Orion's Belt, the Big Dipper and the Milky Way can be seen with the naked eye. It's easy to lose your thoughts staring at the universe and counting the constellations. 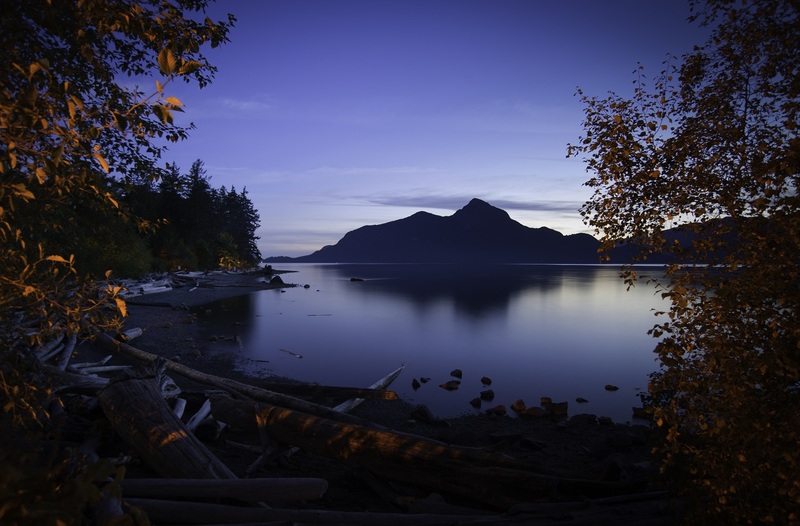 If you're looking for a little slice of serenity, the Squamish Estuary is the answer. Located where the Stawamus and Squamish Rivers meet, the estuary is an important habitat and migratory home for numerous species of birds. Bring a blanket and lounge on the shores of the Squamish River. Tune in to the sounds of the water, the songs of the birds perched nearby and immerse yourself in that book you've been dying to read. The intimate cocktail lounge at Gillespie's Fine Spirits is the perfect atmosphere to lounge on a sofa and sip an impeccably well-prepared cocktail. During your visit be sure to pick up a Squamish Craft Tasting Trail Passport, collect stamps from three different makers to earn a prize. We recommend tasting the cabin-inspired craft beer at A-Frame Brewery and the old world apple cider in Geo Cider Co's freshly opened tasting room. Uninterrupted wilderness calms the mind and soothes the soul. Looking out towards the mountain ranges or the ocean from above the Sea to Sky Gondola is the perfect window of escape. Rent a pair of snowshoes, or just stare out from the Summit Restaurant patio. Why not book an overnight stay in one of Squamish's cabins and let yourself sink into comfort for the entire weekend. Cabin rentals are available at Sunwolf Riverside Resort (reopening April 1, 2019) and Olympic Cabins at Porteau Cove. Mountain view hotel rooms can be found throughout Squamish, some of our favourites include Executive Suites Hotel and Resort and Mountain Retreat Hotel & Suites. Locals and out-of-towners alike have been flocking to Murrin Provincial Park since the 1960s for its easy-access lake swimming, picnicking, hiking, fishing and rock climbing. One of the most talked about camping spots in BC, Alice Lake Provincial Park is a favourite local landmark known for its abundance of recreation and scenery amongst its four freshwater lakes Edith, Stump, Fawn and Alice.